The actor at the centre of a debate about the casting of British black actors in the US has spoken about how being black has lost him roles. Daniel Kaluuya, who was born in London, leads the cast of Get Out – a searing racial satire about contemporary America. Released in the UK this week, Jordan Peele’s horror film has already been a massive hit at the US box office, making more than $100m (£82.5m). But the film hit the headlines last week after actor Samuel L Jackson criticised Hollywood for casting black British actors in films about US race relations. Speaking to the BBC, Skins star Kaluuya said he was proud to be in the first lead role of his career. “You do stuff, people make decisions and it goes out there and people have opinions. And everyone’s entitled to their opinion,” he said. “I love all my black brothers and sisters worldwide, and that’s my position. He went on to describe Jackson as a “legend on and off screen”. In his original radio interview a week ago, Jackson said he wondered what Get Out would have been like with a US actor in the lead role. “Daniel grew up in a country where they’ve been interracial dating for 100 years,” he said. Clarifying his remarks later in the week, he said his criticism was not of other actors, but of the Hollywood system. Other actors have joined the debate, with Star Wars actor John Boyega tweetingthat it was a “conflict we don’t have time for”. In an article for The Guardian, Homeland actor David Harewood argued that Britons may be better suited to some parts because they are not burdened by “what’s in the history books”. 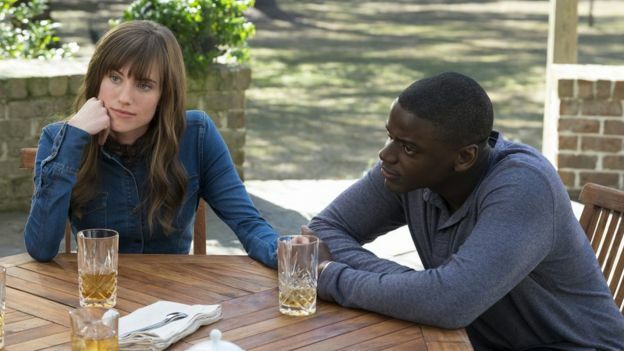 In Get Out, Kaluuya plays Chris, an African-American photographer who goes with his white girlfriend Rose (Allison Williams) to visit her parents at their country home. Chris is worried because Rose has not told her family she has a black boyfriend. He initially receives a warm welcome – if a bit odd at times – but as the weekend progresses, Chris discovers Rose’s parents have a very different agenda. “Jordan wrote this as a response to the idea that racism was ‘solved’ because Obama was president,” Kaluuya said. Peele has admitted he had not wanted to cast a British actor, but that Kaluuya had won him over during an initial audition. 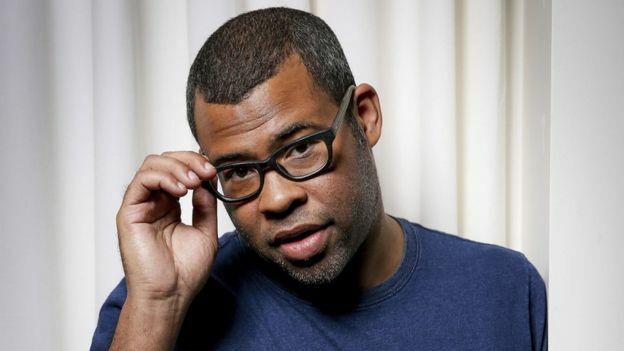 The film’s success has made Peele the first African-American writer-director to earn $100m with his debut movie, according to The Wrap. How much did Kaluuya identify with the film’s themes? “There are an uncountable amount of instances when I’ve been paranoid,” he said. “I did a shoot in Lithuania when I was 17. Everywhere I went people were pointing and staring. “Or when I go to Lidl and I get followed by security guards. Is that because it’s me, I’m black or what I’m wearing? Kaluuya is currently filming Ryan Coogler’s superhero film Black Panther in Atlanta, US. Get Out is out in the UK on 17 March. Get Out star says Samuel L Jackson ‘entitled to his opinion’ 0 out of 5 based on 0 ratings. 0 user reviews.